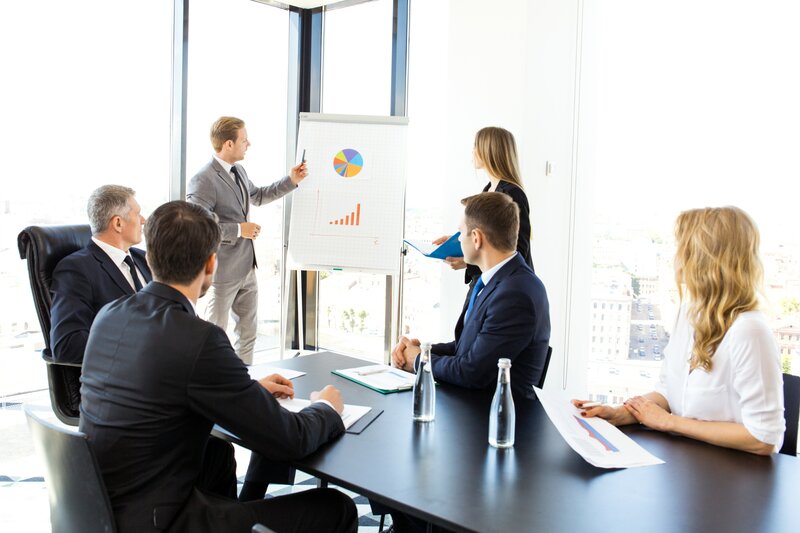 A recent study showed that shorter presentations are more effective than those that are longer in length. In fact, it was proven that investment pitches that were 12 slides in length outperformed those that were longer leading to larger investment. With all the research pointing in the direction of shorter presentations it is important that you learn how to deliver your content in such a way that you get to your call to action quickly and efficiently. We’ve put together a few tips to help you keep your presentation clear, concise and compelling. Focus on a strong opener. By nailing your opener you ensure your audience is bought in to your content from the beginning. This allows you to spend less time building credibility with your audience ultimately saving you precious space in your presentation. A strong opener should be attention catching, emotionally engaging and content forward. Consider using a famous quote, compelling story or a surprising statistic. This will help your audience be drawn in and build your credibility in a minimal amount of time. One of the largest time wastes comes from a presenter who has not spent time with their transitions. The primary cause stems from rambling as you try to get from one thought to another. By practicing your transitions extensively, you allow yourself space to improv in some content areas while still maintaining a cohesive flow. Consider writing down each transition word for word. By manuscripting these portions of your presentation, you have the ability to share your content in a vulnerable and intriguing way. If you set a goal for how long your presentation should be it is important you hit that mark. When you get to your time limit it is time to make a jump to your call to action as quickly as possible. The best way to ensure this happens is by creating a compelling story that leads to sums up your entire presentation and leads to your CTA. This allows your audience to hear your content and get excited about it no matter how much time you had to share. If you choose to go past the time limit you risk your audience beginning to disengage or even get frustrated as you have not met their expectations. When it comes to presentations studies show shorter is better. By keeping your presentations concise and to the point you will find your audience not just more likely to engage but more likely to invest in your overall cause. Looking to learn more about delivering presentations with excellence? Contact our team today to find out how.